Isabella miraculously survived a house fire. 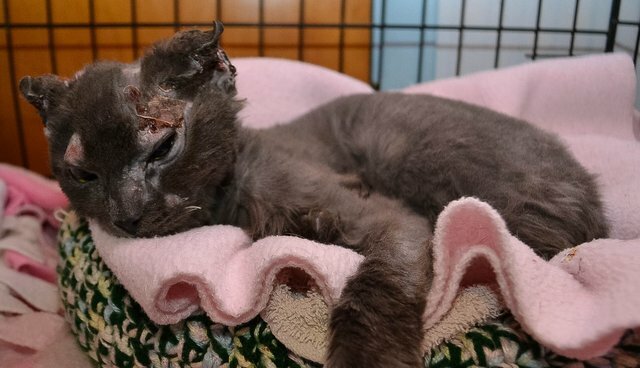 She was severely burned on her face, ears, and paws. She lost the tips of her ears but should otherwise make a full recovery. She was rescued by Shelter to Home in Wyandotte, MI and is an inspiration.